A team from Grace Klein Community will be traveling to Progresso, Belize, October 29th through November 2nd. We will be working with Paul and Tracey Sims, who are missionaries originally from Thomasville, Alabama. 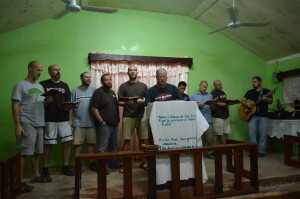 They have been serving in Progresso for three years. The goal of this trip is to assist Paul with building irrigation towers in the fields. We are hoping to take a team of 8 to 10 men. We estimate the cost to be approximately $900 per person, but this will be shared by team fundraising prior to our trip. Pray about joining us on this trip! 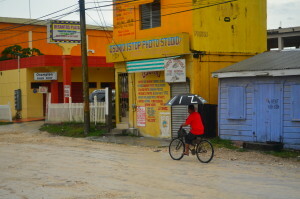 So, why go to Belize with Grace Klein Community? Here is my story from 2013. 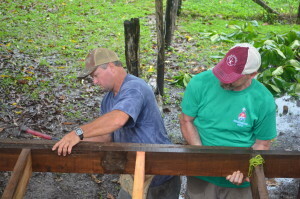 “In November of 2013, I was able to travel to Belize with a team from Grace Klein Community. At that time, I was managing a sales team with Verizon and had never been on a mission trip outside of the U.S. After hearing about the trip and spending time in prayer, I was confident that the Lord was calling me to go. With this confirmation, I began sending support letters and working to prepare to travel. The first steps for me to go were getting a passport, requesting vacation from work, and setting up someone to cover for me at the office. These things all came together quickly, but I still did not know why the Lord was leading me to go. My job at the time involved managing a team of five sales people, maintaining relationships with multiple large companies, handling over 200 e-mails on an average day, and constantly living a 30 day cycle of sales quota and attainment targets. It was hectic, required long hours, and was very difficult to get away from. Even on vacations in the past, I was able to respond to e-mails, make calls as needed, and generally keep in touch. This “vacation” would be very different. Due to the cost of cellular service in Belize, I would have no work phone, tablet, laptop, or e-mail for a week. I didn’t even board the plane with them. It was going to be the longest I had been out of touch from my job in years. Once we arrived in Belize, Jon and I went to Kings College to work in the computer lab while the rest of the team went on to Progresso. The ride from the airport to Kings involved most of us getting rained on in the back of a truck. Little did we know that this would be one of the themes for the week. I worked with Jon and Adrian meeting new people and visiting other local schools. I would occasionally think about work, but it would pass because there was nothing I could do since I could not call or e-mail them, even if I wanted to. ng to distract me. As I was riding in the back of the truck praying, I began asking God why he had me on this trip. Why was I in the back of a truck in Belize? Who was I supposed to meet, help, share Christ with, etc? What was my purpose for being there? God then answered. The answer was very clear and almost audible, “You are here for you.” I realized then that God had brought me to Belize to get me out of my comfort zone and remove the work distractions in order to put me in a place that I could focus on Him. After this experience, I had amazing times with God the rest of the week. We were working long days building, sharing meals together, and having deep, real conversations. God was working in each of us and all around us. At night, as everyone was going to sleep, I would lay in my hammock reading with a small book light. It was around this time that I read several books, including Radical, Wild at Heart, and The Insanity of God. When the week came to an end I didn’t want to leave. Sure, I was ready to return home and see my family, but I didn’t want to return to the stress, the quotas, the e-mails, and the job pressures. I realized very quickly that I returned home very different than when I left. Who knows what God will teach you?! Come along and find out. 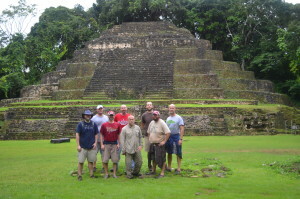 To register for the Belize trip, please email scott@gracekleincommunity.com and make sure your passport is current!